The fifth international conference on Neutrino Geoscience will be held in Takayama, Japan on March 21-23, 2013. Anti-neutrinos emitted from radioactive isotopes inside the Earth, geo-neutrinos, bring unique and direct information about the Earth’s interior and thermal dynamics. ”Neutrino Geoscience” has provided a new tool to study the Earth, and furthered connections between geology and neutrino physics communities. The purpose of this conference is to share the latest achievements and efforts and foster an understanding of the shared science interests of both communities. The venue for this conference is reasonably close to Kamioka, which is strongly associated with history of geo-neutrino. 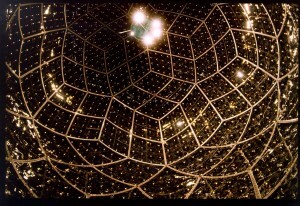 The KamLAND experiment published the first experimental results on geo-neutrino in 2005, and showed that neutrinos can be used to study the Earth. 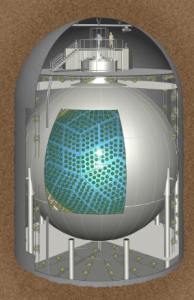 Furthermore in recent years, KamLAND and Borexino results have begun to constrain Earth models, and the newly upgraded SNO+ experiment will be sensitive to geo-neutrinos. We are experiencing at a period of multisite measurements and it raises expectations for developing a map of neutrino sources inside the Earth. During the conference, a tour to Kamioka Underground Laboratories will be organized on the afternoon of March 23.